The Assistant, Photos, and Albums view are now located inside a bar placed at the bottom of the interface, making them easier to access than before. 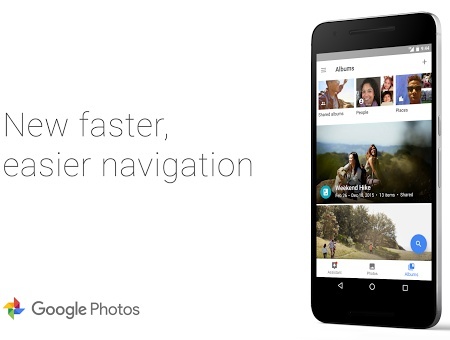 Google Photos got updated yesterday, the main changes highlighted by the official Google+ post that announced the move being performance tweaks and an improved design. Until now, the Assistant and Photos were not accessible directly from the main interface as the user had to go through the menus to reach them. The update brings a new bottom bar that contains the Assistant and Photos, as well as the new Albums view. Previously known as Collection, the new Albums view includes a scrolling carousel on top that provides quick access to multiple items, including people, places, shared albums, movies, or device folders. 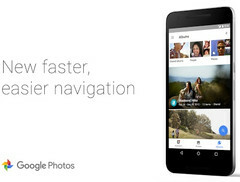 Google Photos 1.15 for Android can be downloaded from the Play Store already, while the update for Apple devices "will be coming soon." Early user feedback on Google+ includes some complaints already, one of the comments revealing that swiping gestures have been removed while many others think the bar is a bad idea. Remains to see what happens with the next update, since removing swipe left/right does not make any sense.